All stories are used with permission. Send in yours using the contact form at the bottom of this page. I interviewed Michael in advance of his show at the University of West Florida in Pensacola. It was 1979, shortly after “Bluer Than Blue” peaked. The concert series was titled “Catch a Rising Star,” probably another way to say “We don’t have the budget for big names.” My assumption was that Michael signed the contract before the song hit, and he had the integrity to fulfill the obligation. There’s no way the written version can do it justice. It was his manner that made the soundbite. He was one of the biggest things in the music industry at that moment. Yet, he was so kind and unassuming, not taking himself seriously at all, but simply glad to be a guy doing what he loved. It wasn’t phony humility, either. He was sincere… yes, just like one of the neighbors. I just wish I had saved the clip. I bought a turntable a couple of years ago to enjoy once again many of the albums I saved from the 1960s-1980s, including a couple of his. They still hold up, and I still enjoy the heck out of them. When I was little, my stepmom introduced me to Michael Johnson. I was about 12, it was 1982, and when I first heard his voice, I was captivated. She would play him on the amazing stereo she had, and no matter how bad things were for me, his music made everything better. She would let me skip school one day a year, and take me and a couple of friends, along with our dog, Ruby, up to Mt. Rainier for the day and we would listen to some of his music on the way. I am so grateful to her for bringing his music into the house and the car. He was one of the first musicians she taught me about and his music and his voice have always been with me. I think he played at her college in Montana and she saw him live. I didn't know he had passed away. I just decided to order a cd from his site, and that was when I found out. We have lost one of the greatest musicians. I am thankful I can still get his music, and I am grateful my stepmom introduced me to him as his music enriched my life. Sorry I don't recall the exact date, but likely it was October 1972 (Oct 1973, or Oct 1974 are also possible). He played the homecoming concert for what was then called Dakota State College, Madison, South Dakota. So whatever actual date homecoming actually happened at this school, at least once in those years MJ was there on that date. Apparently, I pitched my yearbooks but do recall (for the research inclined) his photo(s) is in one of those yearbooks. At least I limited the date to a specific day in one of those three years. Dakota State College in South Dakota, maybe 600 students at the time, was not a haven for folk singers at the time--but someone there must have known about him to invite him to play that night. He played a full concert in an old basketball arena after the homecoming football game. I think only a few folding chairs were set up. He sat on a wood stool with a bottle of wine on the floor next to the stool leg. I don't believe there was even a raised platform of any kind. He was on the same level as the crowd--which was very small. I also don't recall what sound system there was but for sure it was pretty basic. I remember thinking he seemed lonely and certainly all alone as he was located about in the middle of the basketball court with people only at one end--but I was amazed he could play and sing so well with nothing other than a couple mikes and still keep most people's attention riveted. I recall the football players stumbled in half-drunk and were a bit disruptive and taunting, but he handled them well and eventually they faded away. ASFAIK, he was completely by himself. He took a few swigs from the wine bottle during the concert and joked around a bit--seeing the state and quality of the audience. Were there fifty listeners? That may be generous. For his quality, I felt it was a shame and a waste for him to be there playing so well for so few. I don't see other stops on your itinerary that match up to his travel to South Dakota that night, but he was certainly there. I followed him since that time as I've moved around the country and the world and believe I attended other concerts when I still lived in the States. I remember back in the mid-80s seeing Michael Johnson play for the first time at Stewart Hall at St. Cloud State University in Minnesota. I was sitting in the front row and kept requesting he play Poor Little Robin. It didn't make his set list, but the concert security staff took me and a few of my friends back to the green room after the concert. He played it for us there and I was on cloud nine! Many years later, he was doing annual gigs at Pioneer Place on Fifth in St. Cloud, Minnesota. I requested Poor Little Robin again at one of them and he played it! There is a cloud ten :-) I miss Michael so much, but am grateful for the gift of music that he left behind. Michael was dating one of the 8 sisters living by me - I remember him on their front porch playing his guitar - serenading Judy - One time when I came over Judy was sitting on the front steps gazing up at the sky. When I finally asked her what she was doing - she told me that she and Michael had agreed to both look up at the moon at a designated moment with him off performing somewhere I believe or possibly back in college. I remember when Michael was at the Strand-Capital in York. I was a Hospitality volunteer and assigned to backstage. Michael was the most unassuming performer. Some had me running in circles to meet their "demands". Not Michael. When I noticed that he hadn't eaten any of the provided dinner, I asked if there was something wrong with the food. He said no, that it had alot of cheese and he stayed away from dairy before a performance. Asked what he wanted instead. He just looked at me. I told him I'd get whatever he wanted. Again, he just looked at me and then said it wasn't necessary. Told him I was there to make sure he had what he wanted & if I didn't I'd probably be fired. He said he didn't want that to happen & said just carrots, celery & maybe fruit and water. I got everything & put it in his dressing room with a note that I was a volunteer & couldn't be fired. Shortly there after I heard a laugh coming from the direction of his dressing room. That night I had the pleasure of enjoying his performance from backstage -- standing beside Ricky Van Shelton. I was in the presence of 2 amazing performers -- and handsome men!! Hi folks, I've always believed it best to grab the bull by the horns and see who wins. Those who know me well will tell you I'm not big on fear and if I decide to do something it WILL be done. We were all given just one beautiful life...so live it! How does this relate to music ? In the late 1980s I went to see a show at the world famous Bluebird Cafe in Nashville. I went with friend of mine to watch a performer by the name of Michael Johnson. Michael was famous for his number 1 pop hit " Bluer than Blue " but there was so much more to this incredible man. Outside of several hit songs in pop and in country Michael had a trio in the early folk days with Chad Mitchell and John Denver. 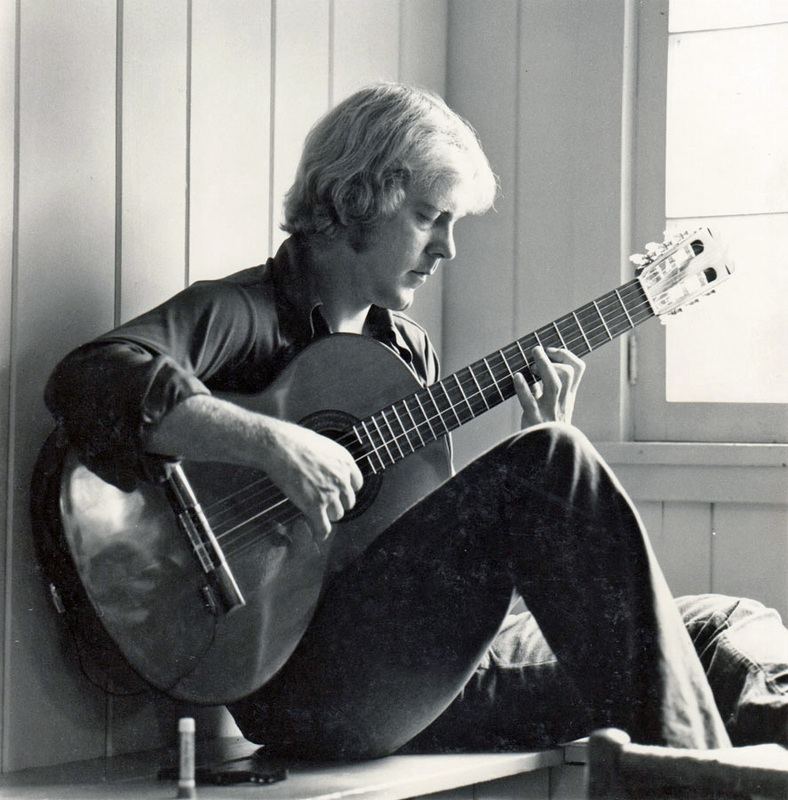 He was so impassioned by his music that he moved to Spain for several years to study classical guitar and became a virtuoso of the instrument. Now that's grabbing the bull by the horns ! Michael struggled hard like all of us to "make it " but make it he did. After watching an incredible show and being absolutely blown away by Michael's guitar playing I turned to my friend and said "Man, I want to write with him." My friend responded "Who wouldn't." "Well, I'm going to ask him," I said. "You're nuts," my friend laughed. That response surprised me because the person I was with was a current recording artist himself and a great songwriter but Michael's reputation intimidated him. So I walked over to Michael and said "Hi, I'm Hobo Jim from Alaska. I'm writing in town for awhile and I'd love to try to write a song with you". Michael looked at me and said, "Are you open Monday? "....Done deal. Monday morning.......Michael Johnson was coming to MY house to write and I didn't even have an idea for a song. An hour before he arrived I opened the Bible to see what were the first words to pop out. I had turned to Genesis, the story of Cain and Able. Now I had my Idea. That day Michael and I wrote an incredible song that we both performed for years. It's called......." The Line." That song was the beginning of a writing partnership that would create dozens of songs and put Michael and I together on the road for dozens of shows. But more so, it began a great long time friendship. Had I not reached for that bull I would have missed so much in my life. That's the whole reason for this post. If you're an aspiring songwriter, performer, artist, or anything else of any age, NOTHING CAN STOP YOU BUT YOURSELF. Have no fear, just go for it, take your blows and win. Sadly, Michael passed away last summer. I was in Alaska performing when I got the news and it made for a rough night. In fact its made a rough year. His death was taken hard because his life and light were so full. I'll never forget this talented showman. Though none of the songs Michael and I wrote have been recorded you can catch a few (including The Line) on Youtube. Thanks Michael, I hope you've found peace at last.